It’s true what they say, nostalgia isn’t what it used to be! I was a child of the seventies and things did seem a lot simpler back then. With just three television channels, one of which only seemed to show the test card, and no internet of course, we played outside all day. And I mean all day, our only instruction being to return home ‘when it goes dark.’ We were never short of things to do though; building dens, riding bikes, venturing onto the forbidden ‘back field’ – a piece of scrub land rumoured to be populated with escaped nutters (political correctness had yet to be invented). My kids think I had some sort of deprived childhood with only a black and white television and a phone in the hall which sat on its own special table with a dralon-covered seat attached, the telephone directory tucked onto the shelf below. I was not allowed to call anybody until after six o’clock though when the rates were cheaper. If we wanted to change channels on the television we had to – brace yourself – get out of our chair, travel four feet across the living room and press a button on the set itself. By the time we’d finished arguing about whose turn it was to ‘turn the telly over’, the programme would have ended. Healthy and Safety back then was non-existent. There was concrete under the swings and slides in the park, not the spongy stuff kids have today. The swings were not even securely anchored so that if we swung really high, one leg would come out of the ground, which all added to the excitement. Conkers had yet to be banned in schools, in fact we had Clackers which were even worse. Two brightly-coloured acrylic balls attached by a piece of string with a handle in the middle. You had to knock them together and if you were really skilled at this you could get them to clack together above and below your hand. As an added bonus the noise used to drive our parents and teachers mad. We would cycle everywhere without helmets, often two to a bike as we gave our friends a ‘seater’ or a ‘crossie’. You could babysit from the age of 11, the only requirement for the job being you knew how to dial 999. Seatbelts in the back of the cars did not exist. It wasn’t seen as a problem because in the event of a crash we would be saved by the seat in front. Thank goodness some things have changed for the better. We were completely oblivious of all the dangers back then and looking back I wonder how on earth I managed to survive into adulthood. 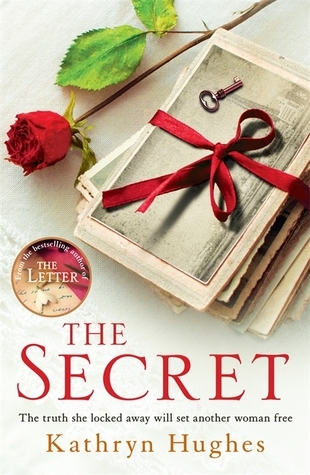 The Secret is available now via Amazon online and all good book shops. 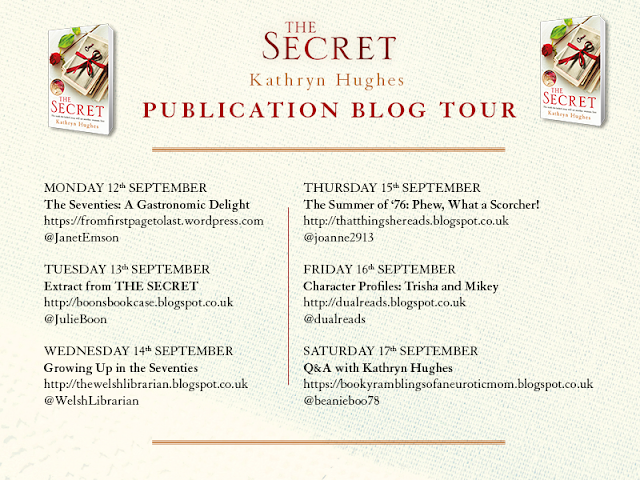 Many thanks to Kathryn and Katie at Headline for allowing me to take part in the official blog tour - review to follow soon!